Within the Jissen Kobudō Jinenkan heritage, we have seven lineages or Ryū, loosely referred to as, Jujutsu. The term we use for our unarmed arts is, Taijutsu. This literally translates as - body art. This term was first used in the seventeenth century, however, it is just another term for what is more commonly known today as, Jujutsu. We undertake the diligent study of Kihon - basics, composing of, but not limited to: breakfalling, footwork, strikes, kicks, throws, locks, chokes, nerve attacks and ground fighting. We progress through the different Ryū's densho (scrolls of techniques), in the order they are written. 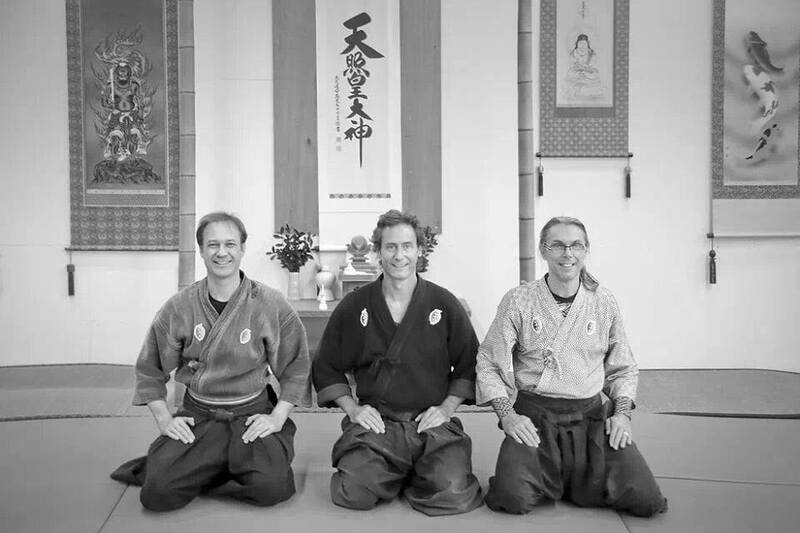 As we progress, the mindset, strategies and logic behind the formulation of the Ryū become more apparent, opening up a whole new paradigm of understanding and appreciation. Weapons training is also studied alongside our taijutsu, as one type of movement is often interchangeable with the other. In total, we have four taijutsu styles, three weapons styles and two styles that incorporate both.